The Take On Helicopters Community Preview has been updated. Note: Arma 2: Operation Arrowhead is required. Ivan Jurcaga has released his freeware Mikoyan-Gurevich MiG-21MF for FSX. View videos at YouTube. Orbx has posted the first preview screenshots from the upcoming Alice Springs Airport (YBAS) for FSX. John Venema has a few days ago posted a revised road-map and sit-rep of upcoming Orbx projects. Angle of Attack has announced possible future free Boeing 737NGX training tutorials. Eiresim has posted several real world comparison pictures of London Luton (EGGW) for FSX and FS2004. 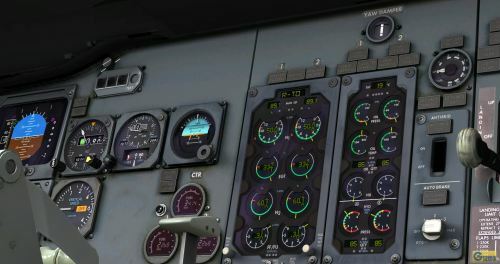 The Majestic Software Dash 8 Q300 Pro and Training editions are now available to purchase at SimMarket. Gary Summons has released UK2000 Newcastle Intl. Airport (EGNT) for FSX and FS2004 at SimMarket. A2A Simulations has released the "Captain of the Ship" Accu-Sim expansion to the Boeing 377 Stratocruiser for FSX. Updated: Now available at SimMarket. The developer of Aerosoft Stavanger X Airport (ENZV) for FSX has posted previews of the detailed jetways. The freeware SX-1B FSW for FSX and FS2004 is now available to download at Simviation. Video at YouTube. Oryx Simulation Software has released the freeware Salalah Airport (OOSA) for FSX and FS2004. Two W.I.P. videos from the Bell Helicopter 412 for X-Plane have been posted here and here. 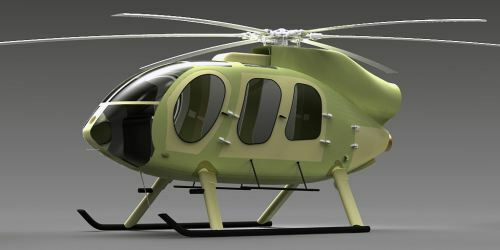 A new MD Helicopters MD 600N project for X-Plane has been announced in the X-Plane.org Forums. Eagle Rotorcraft Simulations has posted the features list from the upcoming Bell 222 for FSX. The International X-Plane Engineering Group (IXEG) has posted a new preview image from the Boeing 737-300 project. Orbx has posted several closeups from the upcoming Diamond Point Airport (2WA1) for FSX. Xavier has posted a poll on the GEFS blog to choose the next aircraft for G.E. (Google Earth) Flight Simulator. Aerosoft has posted new preview pictures from the upcoming Keflavik Airport (BIKF) for FSX and FS2004. Aerosoft has posted preview screenshots of the Aerosoft Connect service to the upcoming Radio Stack for iPad. The Wilco Publishing Harrier Jump Jet for FSX is now available to purchase at SimMarket. TropicalSim has released Corvo Airport (LPCR) in the Portuguese Azores for FS2004 at SimMarket. IRIS Simulations has posted more preview renders from the upcoming Silence Twister for FSX on Facebook. Orbx has posted new preview images from the upcoming FTX Central Rocky Mountains for FSX. FlyJSim has updated the Bombardier Dash 8 Q400 for X-Plane to version 1.12. Download the patch here. A new screenshot of what appears to be Microsoft Flight had been accidentally posted on Facebook. Aerosoft has announced development of Paderborn/Lippstadt Airport (EDLP) for X-Plane. Navigraph NAVData AIRAC Cycle 1107 is now available for purchase at Navigraph or SimMarket. 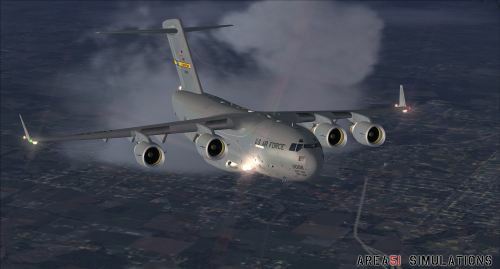 Area 51 Simulations has released new screenshots from the upcoming Boeing C-17 Globemaster III for FSX and FS2004. Project Airbus has posted the first virtual cockpit picture and two PFD preview videos from the Airbus A380 for FS2004. Commercial Level Simulations (CLS) is offering two 6th birthday specials, 25% off the Douglas MD-80 Series and 40% off the CLS Repaint Manager. A new promotional video of the MD-80 Series can be viewed at YouTube. 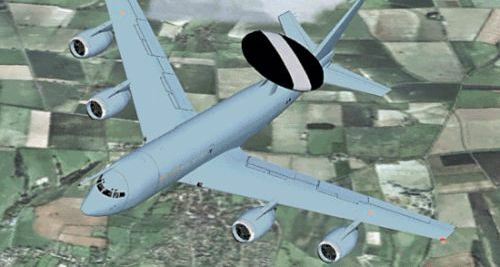 Premier Aircraft Design has released the freeware Boeing E-3D Sentry for FS2004 and FSX. Freeware Project ULLL 2011 for FS2004, airfields of Saint-Petersburg city and the Leningrad oblast at AVSIMrus. 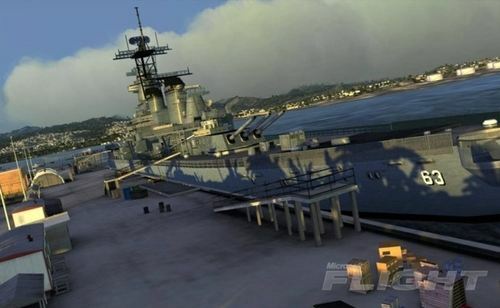 VertigoStudios has posted more preview screenshots from the soon to be released Grumman TBF Avenger for FSX. OryxSim has released Arabian Airports X: Muscat (OOMS) for FSX and FS2004. Purchase at SimMarket. Onet Valley has released Wattay Intl. Airport (VLVT) for FS2004. Now available for purchase at SimMarket. Pacific Islands Simulation - Tonga - Fua'amotu Intl. Airport (NFTF) for FSX is now available at SimMarket. Framerate-friendly (including full autogen enhancements for framerate fluidity using SDK annotator). MAAM Sim has announced version 7 of the North American B-25 Mitchell for FSX and FS2004. Orbx has announced the cancellation of Seattle Intl. Airport (KSEA) and Portland Intl. Airport (KPDX) for FSX. 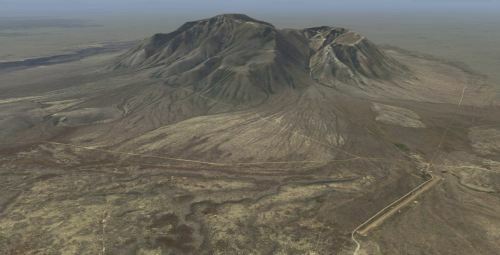 Blue Sky Scenery has released the freeware Grand Canyon National Park, Part 1: Marble Canyon for FSX and FS2004. Ben Supnik has posted a quick X-Plane 10 development sit-rep on the X-Plane Dev Blog. 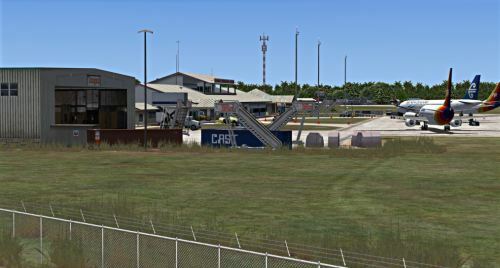 New Zealand Vector Land Class has released the freeware North Island Airfield Pack and VLC Libraries for FSX. 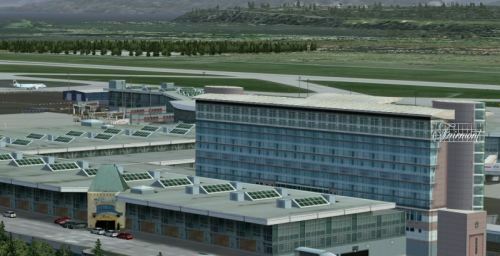 FS simVFR Madrid and surroundings Ortophoto-Mesh for FSX is now availalble to purchase at SimMarket.